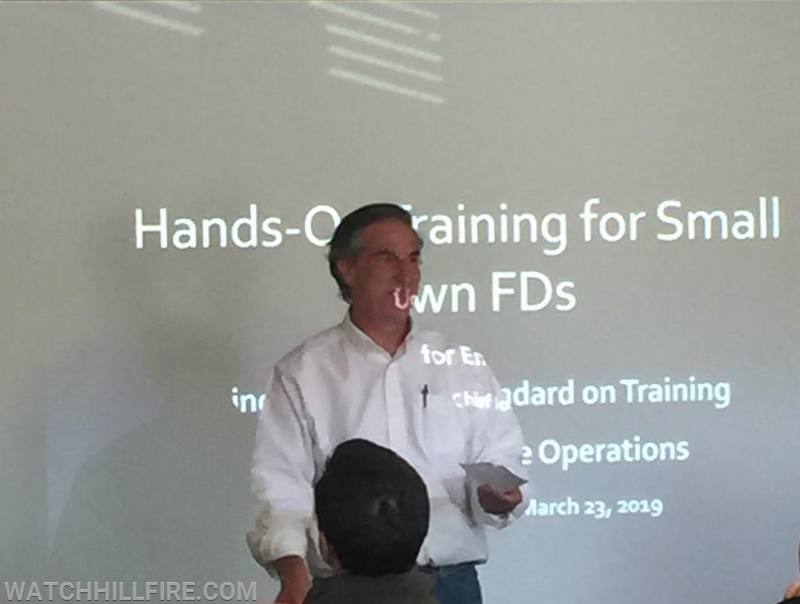 Four members of the Watch Hill Fire Department participated in the New England Small Town Fire Chiefs training seminar presented by the New England Volunteer Fire and EMS Coalition and hosted by the Rhode Island Southern Firefighters League. There were 51 participants representing 34 departments from throughout New England including 28 from Rhode Island, 15 from Connecticut, and 8 from Massachusetts. Of the participants, 23 were Chiefs, 17 were Assistant or Deputy Chiefs, 8 were Captains, and 4 were Other Miscellaneous Positions. The seminar was very informational and highly educational. As a token of our appreciation, the seminar instructors were hosted by the Watch Hill Fire Department on Friday night and provided with a station tour of our station followed by dinner at the Supreme Restaurant. The seminar instructors included Chief Joe Maruca of the West Barnstable Fire Department, Firefighter/EMT Lisa Evans of the West Newbury Fire Department, Lead Engineer Robin Zevotek of Underwiters Laboratory Testing Facility, Retired Deputy Chief Kevin Quinn of the South Kingstown Fire Department, Director David Evans of the Massachusetts Fire Academy, and Retired Captain Mike Bird from the Wareham Fire Department. The seminar classes included how National Fire Protection Standards help take care of firefighters, equipment, and apparatus, the Science of Modern Behavior, strategies for Recruiting and Retaining Women in the Volunteer Fire Service, and an open discussion about today's challenges for volunteer and combination fire departments. The seminar was very informational and highly educational. 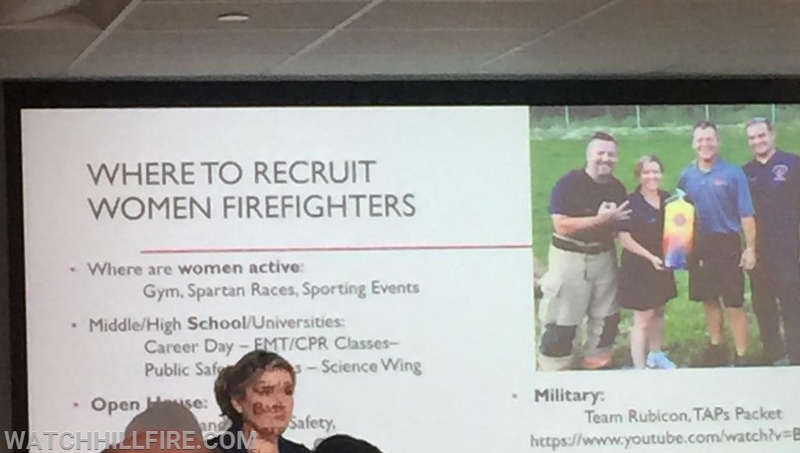 Firefighter/EMT Lisa Evans of West Newbury Fire in Massachusetts shares ideas for recruiting and retaining minorities in the fire service. West Barnstable Fire Chief Joe Maruca leads a discussion about practical evolutions and training with limited staffing. Ret. 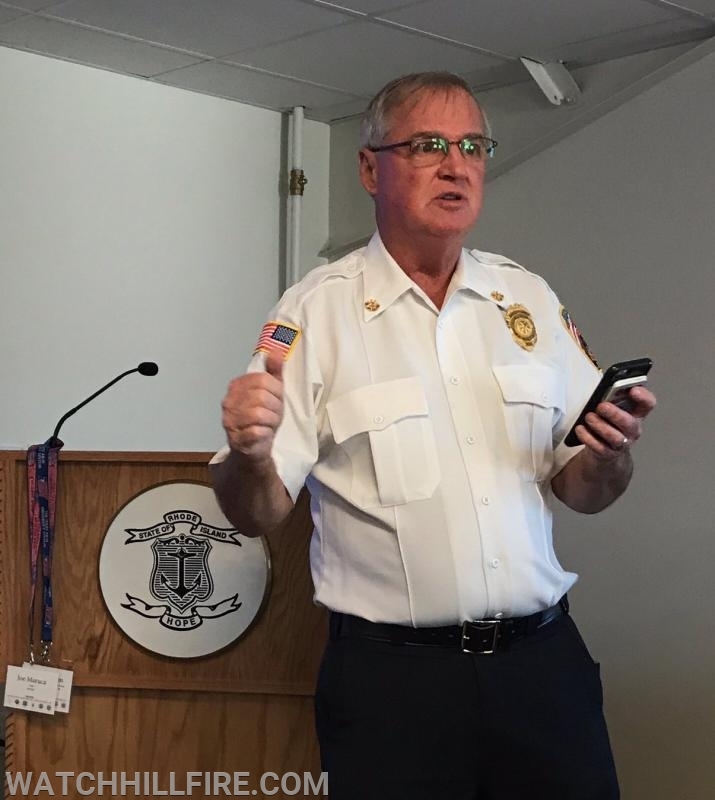 South Kingstown Fire Chief Kevin Quinn talked about common themes in small town fire departments. 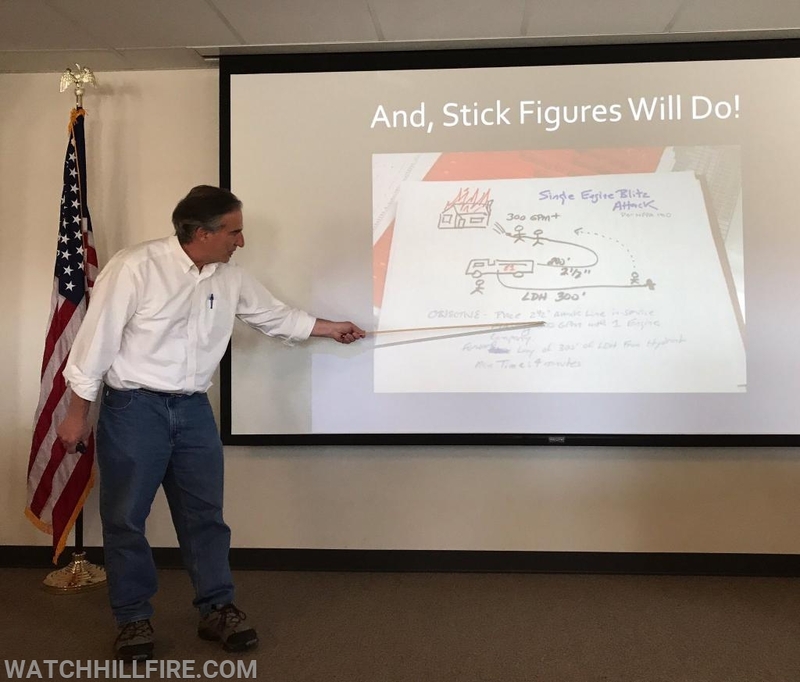 Chief Joe Maruca shares simple strategies for understanding NFPA standards.